[as] > Construction > How tall can we build in wood? Recent news about a report published by the Canadian architect Michael Green “Tall Wood – The Case for Tall Wood Buildings” (which was funded by the Canadian Wood Council and co-authored by Equilibrium Consulting, LMDG and BTY Group) is currently accelerating interest in the possibility of using wood, a naturally renewable material, to replace concrete and steel as mid- to high-rise construction materials. The report uses the fictitious examples of 12-, 20-, and 30-story residential highrise buildings in metro Vancouver and goes into exemplary detail on architectural design, structural design, building code feasibility and cost to address most of the questions that relate to undertaking a project of this size. 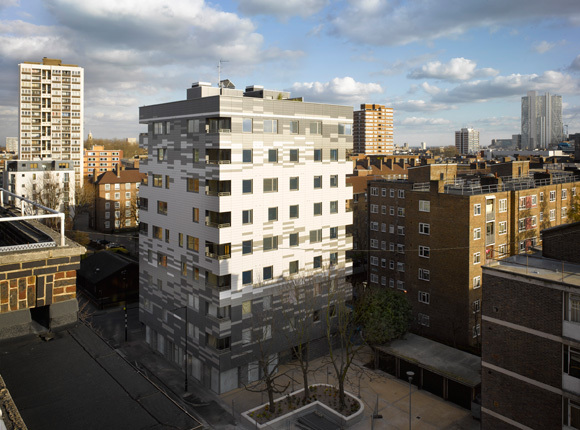 The 9-story highrise in London, UK (of which eight stories are actually made of wood – the bottom story is concrete) uses a new-ish laminated-wood product, called cross-laminated timber (CLT). This product has been used for some time in Europe and is now being introduced into the North American markets. It consists of alternating, cross-laminated (akin to plywood) dimensional lumber layers, which produces panels that can be used either for floor, wall or roof construction. Benefits of this system are the lower structural weight (versus the commonly used concrete or steel floors), good sound protection (if details are done right), fast construction progress, beneficial fire performance and – of course – the green aspect of using wood (which effectively acts as long-term carbon storage). The detail below shows a section through adjoining walls and floors in a multi-story residential building similar to the Stadthaus (the sketch came from a sample catalog and represents a different building). This is a seven-story building in Berlin, Germany, which uses a six-story high wooden frame. As can be seen in the structural details linked below, the structure consists of glulam columns and beams together with solid-wall elements and wood-concrete floor systems. Of particular interest are the steel fittings at the column-beam intersections. 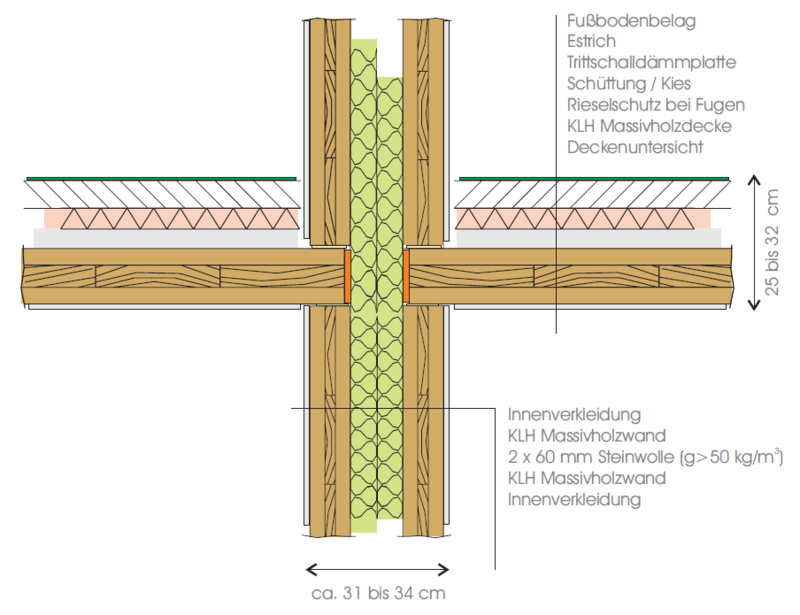 Structural details – Some images that illustrate the corner connections used in this building (in German). A detail drawing of the wall/floor intersection can also be found here. This eight-story building in wood uses mainly CLT panels for the structure. Lateral stability is provided by a prefab-concrete stair tower. Almost built to the passive-house standard, this building uses a low-energy concept. This eight-story office highrise currently under construction in Dornbirn, Austria uses a shallow, modular wood-concrete floor system, which allows for a 30-foot clear span and a column-less interior. The building is also constructed to passive-house standards. CREE website – The manufacturer’s website has plan details and some technical information. Inhabitat article – Contains many pictures of the follow-up (taller) version. Some illustrate the structural system well. 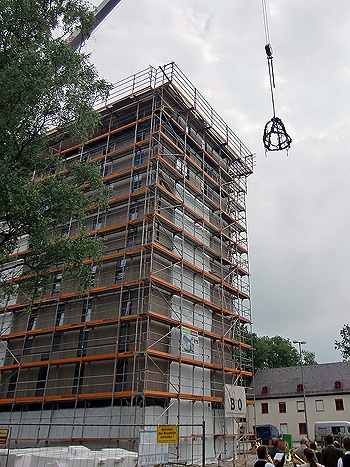 Construction livecam – A live camera showing construction progress. Info sheet on Proholz – Architect and engineer listing (in German). 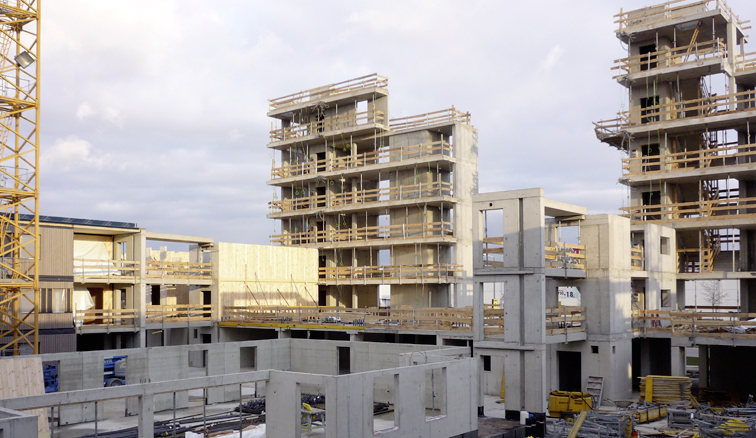 The tallest parts of this multi-family residential complex in Vienna, Austria feature six stories of cross-laminated timber (CLT) construction over a base story in concrete. 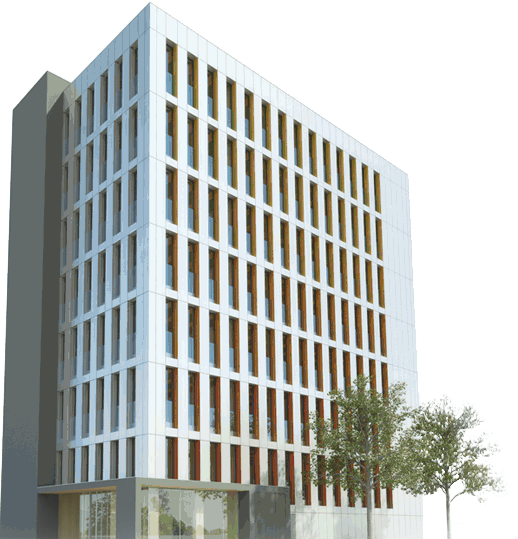 Approximately 2400 m3 of wood are contained in this project, which enable this building to sequester 2400 tons of CO2 for the entirety of its lifetime. Project Sofie – International research project centered around a cross-laminated solid wood wall system for multistory housing. The project comprised fire and earthquake-tests on up to six stories. Don’t forget to watch the videos. Eight plus – An ambitious research project from Austria to get even higher. P.S. : I believe there are more – these are just the ones I can remember. Feel free to add anything you know in the comments below.